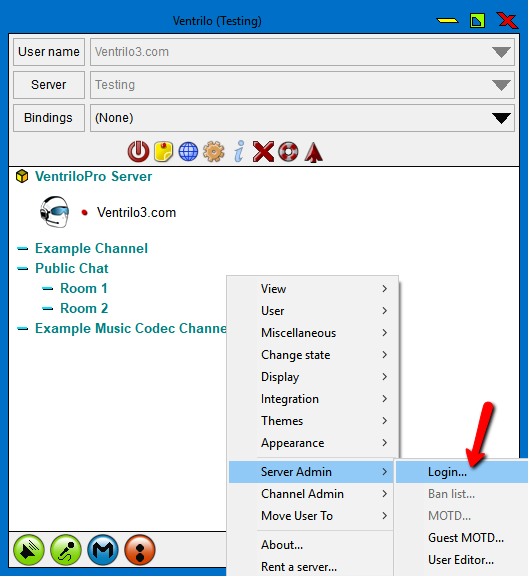 This tutorial is designed so that you are able to login to your Ventrilo server and have the administrative rights to control the server. This will allow you to add channels, kick users, ban users, etc. Once the box appears from the previous step you will want to type in your admininstrative(admin) password here. **NOTE** The password IS case sensitive so if your password is "passWORD" you will have to use capital letters W, O, R, D. Then once you hit "OK" at the top of Ventrilo next to your server name should be an "A" meaning you are in fact logged in as an administrator.